Manufacturing activity in the EU is increasingly concentrated in a Central European (CE) manufacturing core, implying divergent paths of structural change across Member States. This ‘manufacturing divide’ within Europe coincides with deepening economic integration in general and the emergence of global value chains (GVCs) in particular. 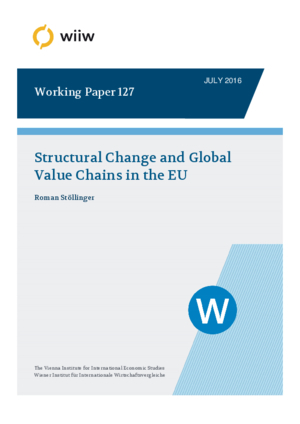 Focusing on the manufacturing sector, this paper investigates the relationship between structural change and integration into GVCs in EU Member States over the period 1995-2011. The empirical findings suggest a non-linear relationship between the two phenomena: Members of the CE manufacturing core benefit from participation in GVCs in terms of structural change towards manufacturing, whereas in other EU Member States GVC participation, if anything, accelerates the deindustrialisation process.